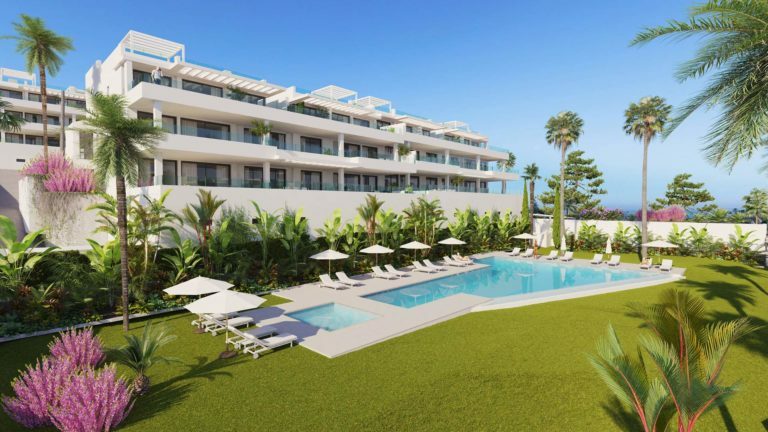 Las Olas is a brand new development in Estepona and is ideally located and within walking distance to the beach and all amenities. 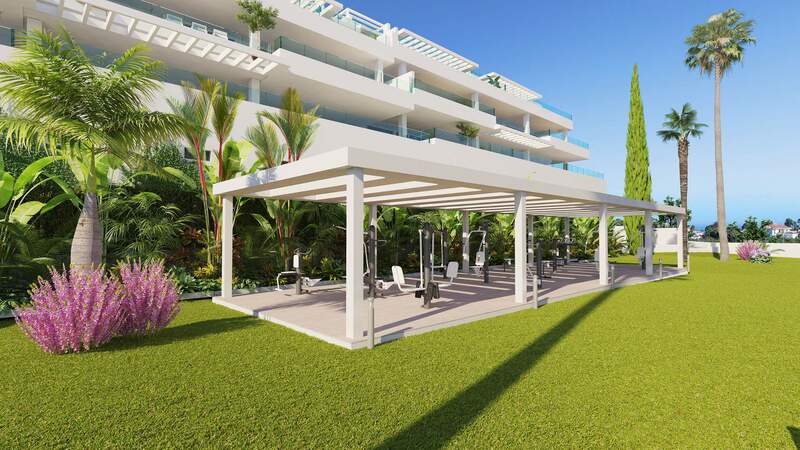 The project will be starting construction imminently and due to be completed end of 2020. 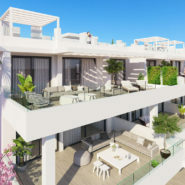 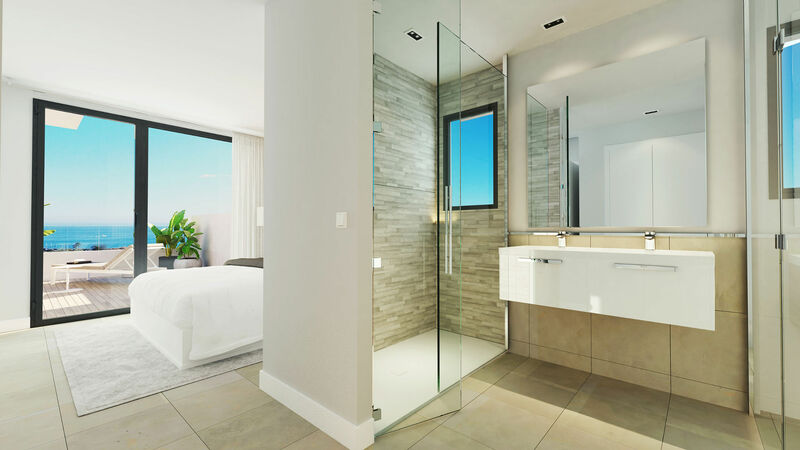 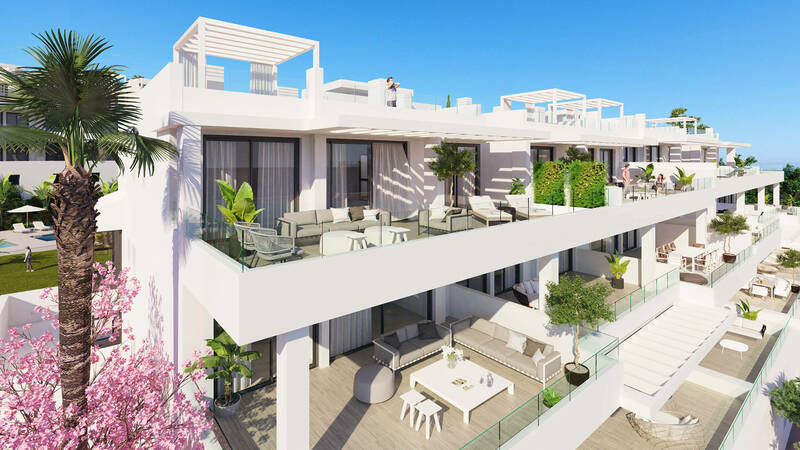 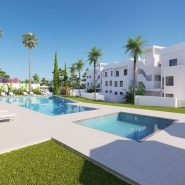 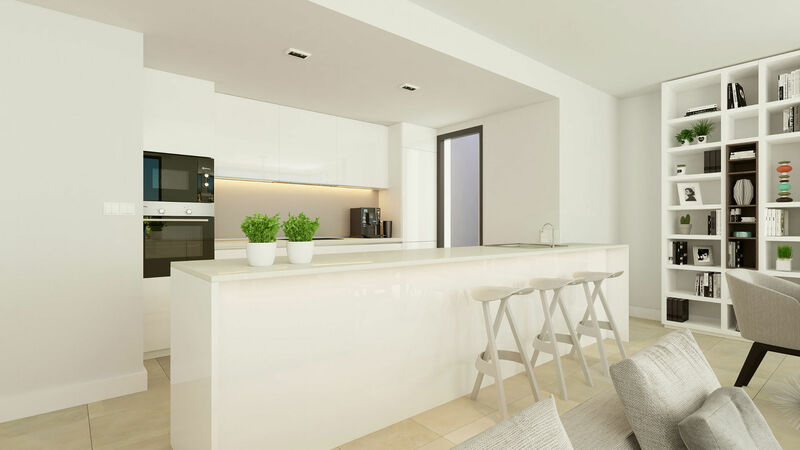 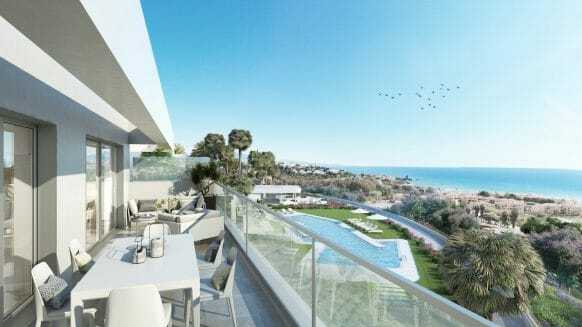 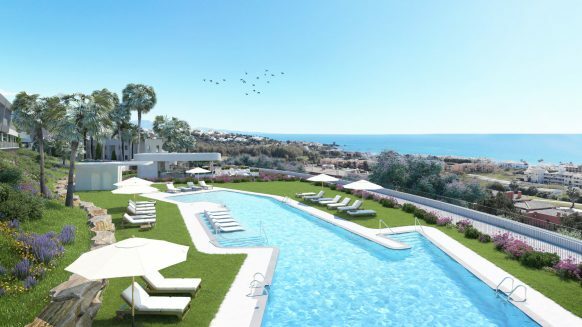 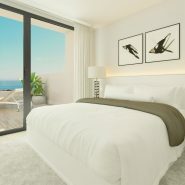 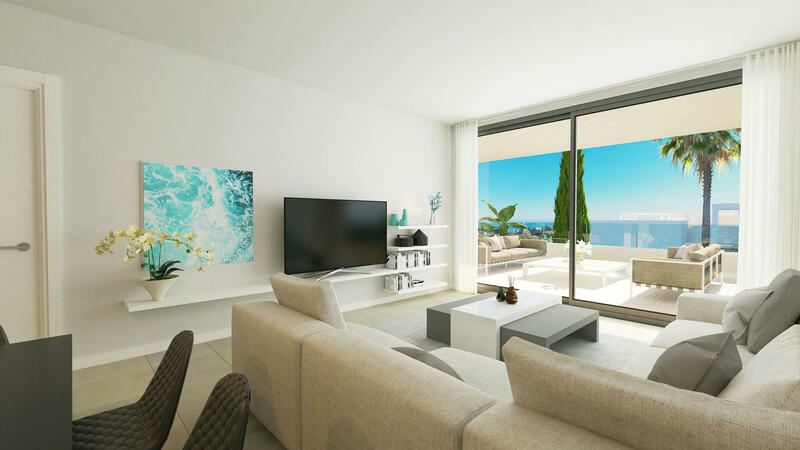 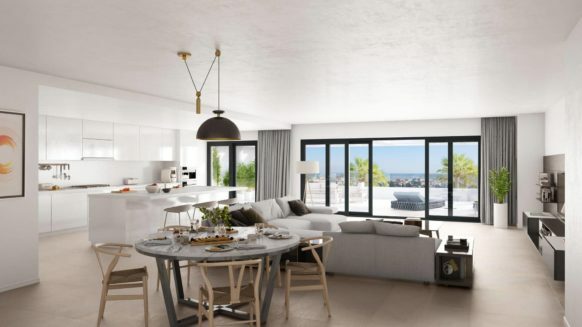 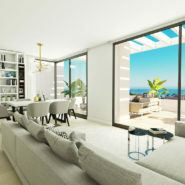 The project offers excellent sea views and large south facing terraces perfect for enjoying the luxury outdoor lifestyle on the Costa del Sol. 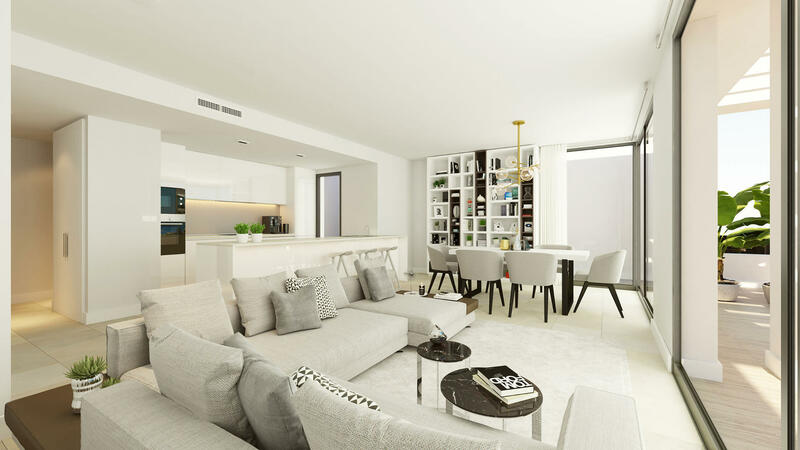 This ground floor apartment in Las Olas is of a contemporary design with high-quality finishes. 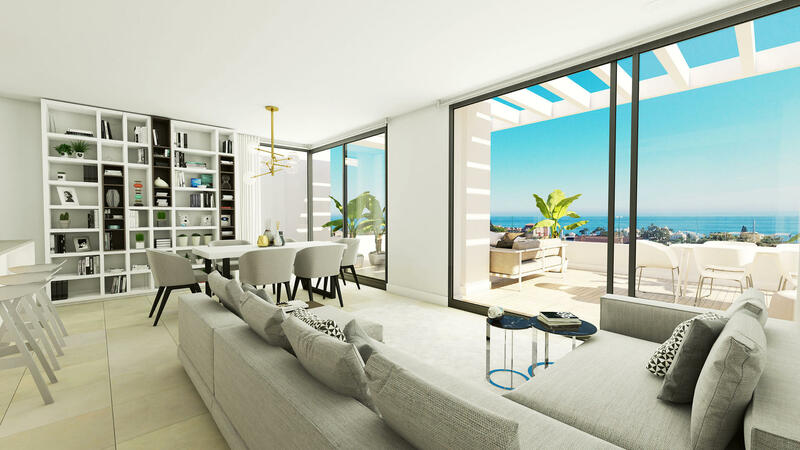 An open plan living area with a modern kitchen and middle island opens to a good sized lounge with floor to ceiling glass doors for garden views and direct access to the large terrace. 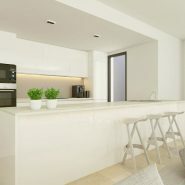 Buyers have the unique opportunity to personalize their home with a variety of finishes. 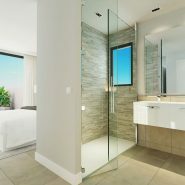 There is a choice of either porcelain or parquet floors, types of doors and wardrobes and a choice of different colours for bathroom units. 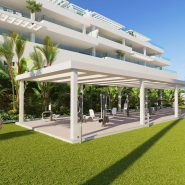 The communal areas offer an outdoor gym and large saltwater swimming pool, surrounded by tropical gardens. 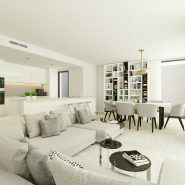 Included in the price is an underground parking space and storeroom. 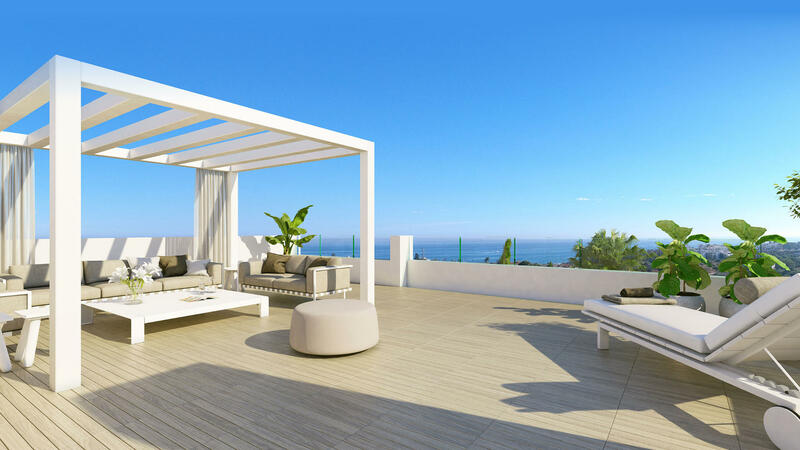 Estepona is a truly beautiful part of the Costa del Sol and is known as the garden city. 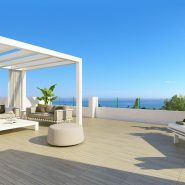 Located in the heart of the area it places Marbella and Puerto Banus right on your doorstep. 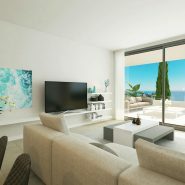 There is plenty to enjoy with the lovely marina close by offering a selection of shops and restaurants. 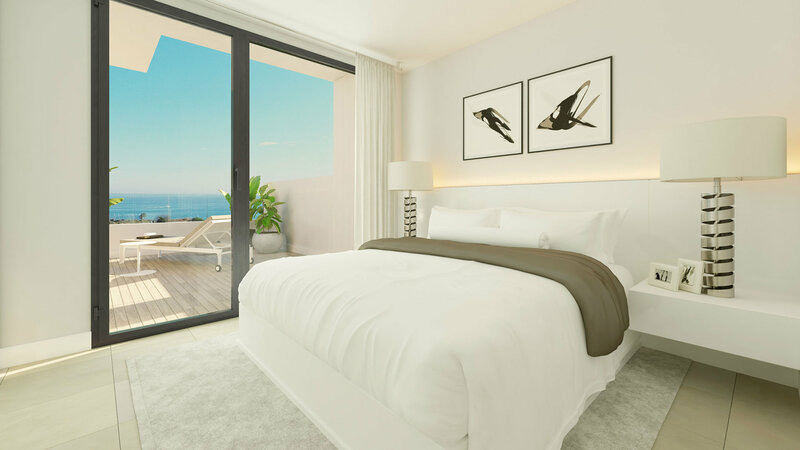 The quaint old town provides a labyrinth of streets and the beach side promenade is the place for a good walk to enjoy fabulous views. 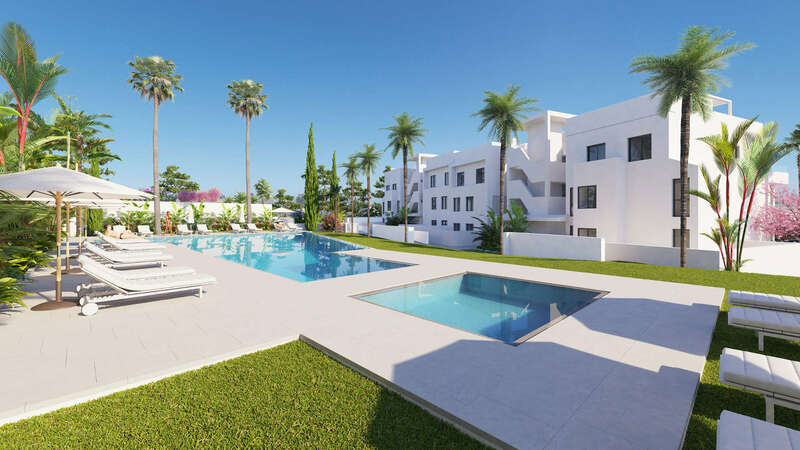 Nearby you will find several championship Golf courses and a wealth of sport and leisure activities are available in the vicinity including sailing, tennis and horse riding. 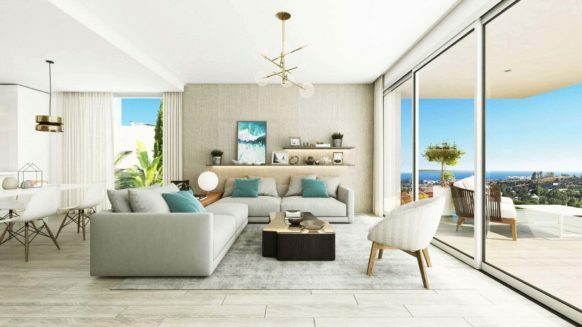 Perfect as an investment opportunity or a permanent residence, Las Olas provides an ideal base for living a wonderful Spanish lifestyle by the sea close to the beach, shops, restaurants and cafes a short walk away.